Black Friday and Cyber Monday Furniture Sale at FurnitureCart! Whether you’re decorating an entire house or simply adding an accent piece to your decor, FurnitureCart has something to suit every room and style. You will find sectionals, living room sets, bedroom pieces, dining sets and more on sale this Thanksgiving Weekend! We have partnered with some of the leading manufacturers in the country such as Ashley Furniture, AICO Furniture, Coaster, Homelegance, Steve Silver Furniture or Surya just to name a few. Use coupon code FRIDAY during checkout. $1500 minimum purchase required. Please Note: Can not be combined with other offers or discounts. Thanksgiving Furniture Sale Offer does not apply to previous purchases. Do you live close to our Store Location? Receive 12.5% OFF on all orders shipping to Pennsylvania (PA), New Jersey (NJ), New York (NY), Delaware (DE), Maryland (MD), Washington (DC), and Virginia (VA). Use Coupon Code LOCAL12 during the checkout process or call our Customer Service to apply Discount. $1700 minimum purchase required. Please Note: Can not be combined with other offers or discounts. Black Friday Furniture Sale Offer does not apply to previous purchases. Save Big this Columbus Day Weekend Sale! Ashley Furniture Sale at FurnitureCart.com! It’s hard to believe fall is already here! With fall comes many things – football, pumpkins, fall foliage, and perhaps most importantly, FurnitureCart’s Columbus Day furniture sale! We have partnered with some of the leading manufacturers in the country such as, Ashley Furniture, AICO Furniture, Coaster, Homelegance, Pulaski, Magnussen and Intercon just to name a few to provide you with the quality you want and the value you deserve from the brands you trust. During the Columbus Day Weekend Furniturecart.com is having a massive furniture inventory sell-off. Our furniture sale begins Saturday, October 6, 2012 and will run through Monday, October 8, 2012! Use promo code COLUMBUS during the checkout process. Coupon can not be applied to previous purchases. Whether you’re looking for living room sets, bedroom sets, dining groups or kid’s furniture you’ve come to the right place. Get yourself a brand new bed or treat yourself to a great sectional and make your house a home with FurnitureCart.com! In all seriousness, this is the time of year for furniture deals and you should take advantage of them. We are happy to offer these discounts along with our Free Shipping and No Tax option for all furniture! 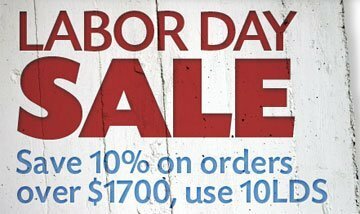 Amazing Labor Day Furniture Sale! Save On Ashley Furniture, Coaster, Homelegance and more with FurnitureCart.com! FurnitureCart.com is dedicated to providing the finest selection of affordable, fashionable home furnishings at a value unequaled in the marketplace. We have partnered with some of the leading manufacturers in the country such as, Ashley Furniture, AICO Furniture, Coaster, Homelegance, Pulaski, Magnussen and Intercon just to name a few. At Furniture Cart we provide the quality you want and the value you deserve from the brands you trust. During the Labor Day Weekend Furniturecart.com is having a massive furniture inventory sell-off. Our furniture sale begins Saturday, September 1, 2012 and will run through Monday, September 3, 2012! Do you live close to our Store Location? Receive 12.5% OFF on all orders shipping to PA, NJ, NY, DE, MD, VA, and DC use Coupon Code 12LDS during the checkout process. Please Note: $500 minimum purchase required. Can not be combined with other offers or discounts. Limited time only, coupons expire September 3rd. Coupons can not be applied to previous purchases. FurnitureCart is no ordinary furniture store. It’s a whole new world of choice for your home. Whether you’re looking for living room sets, bedroom sets, dining groups or kid’s furniture you’ve come to the right place. Get yourself a brand new bed or treat yourself to a great sectional and make your house a home with FurnitureCart.com! 4th of July Furniture Sale at FurnitureCart! Independence Day is great American holiday! It’s a celebration of freedom and a time to enjoy family, friends, food, fireworks, and great discounts and deals! During the Independence Day Weekend Furniturecart.com is having a massive furniture inventory sell-off. Our furniture sale begins Sunday, July 1, 2012 and will run through Wednesday, July 4, 2012! FurnitureCart is no ordinary furniture store. It’s a whole new world of choice for your home. Whether you’re looking for sofa sets, bedroom sets, dining groups or youth furniture you’ve come to the right place. Get yourself a brand new bedroom set or treat yourself to a great reclining sectional. Get a new home office desk! You deserve it! Limited time only, coupons expire July 4th. Coupons can not be applied to previous purchases. FurnitureCart presents customers with lowest internet prices on greatest brand names such as Ashley Furniture, Coaster Company of America, Millennium By Ashley, Signature Design by Ashley, Homelegance, Pulaski Furniture, Steve Silver Furniture, Jackson and Catnapper Furniture and many others. Whether you are looking to renovate your living room with a brand new living room set or refresh your bedroom with new bedroom furniture – we have it all. In all seriousness, this is the time of year for furniture deals and you should take advantage of them. We are happy to offer these discounts along with our Free Shipping and No Tax option for all furniture at FurnitureCart.com. Shop our special Independence Day Furniture Sale today save!